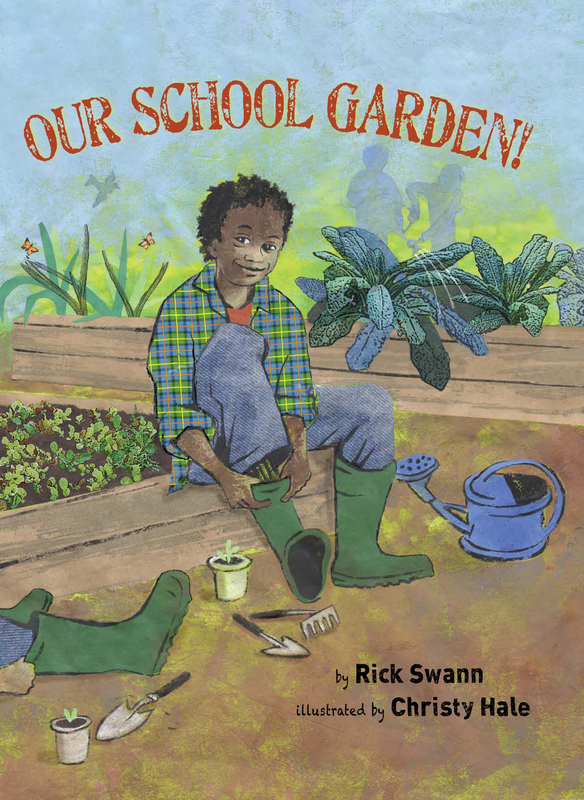 Book cover for Our School Garden! Why were there so many school gardens? The main reason was that people were worried that children were losing touch with nature because more and more children were moving from the countryside to the cities. Educators at the time, including John Dewey and Maria Montessori, also believed that children learned best with real-life experiences and activities. They also believed that lessons learned in the garden were more powerful than those read out of books or off of a blackboard. School gardens at the time were used to teach many subjects. For math, students had to calculate how many seeds were needed to plant a bed and the cost. For writing, they wrote business correspondence to the seed company to order the seeds. For science, they would measure the seeds’ germination rate. Geography would trace the origin and history of the plant. These are all real-life lessons. And the garden’s produce? It often would supply local families in need. In reviving our school garden, we modeled our garden program like the ones a hundred years ago. We follow the guideline: “Nature is our teacher.” We want our students to be able to know about and celebrate the cycles of life. Another reason is that we believe that the garden is a classroom where many subjects can be taught in a real-life manner that involves observation, experimentation and thought. We are also concerned, like First Lady Michelle Obama, that children are not eating enough healthy foods and staying active. So we created a place where children can experience growing and eating their own food and be physically active producing it. We also believe the garden can be a community gathering place, and that working in the garden encourages cooperation and sharing. Finally, we supply the local food bank with fresh food from our garden for those in our community in need. It has taken a lot of planning and hard work on the part of students, staff and parents to create a school garden program. But when you see the seeds you planted yourself sprout, taste the freshly picked vegetables, or take boxes of fresh kale, peas, lettuce and beans to the food bank, you realize that the hard work is worthwhile. If you want to start a school garden, I’ll be listing resources for you to use to get started, but keep in mind that a garden can be as small as a container that hold soil to keep near your classroom or home window. You just need at least six hours of sunlight and access to water.